Not seeing “Enrolment ID” and “Aadhar” options? Downloading aadhar card online is really easy. But in my case, it didn’t happen like that. Because when I open the official aadhar card website to download e-aadhar card I was seeing some different page than what I was supposed to see. When I visit official page, it was asking me Username and Password to login to my Account! to download e-aadhar card. I don’t know why it happened like that, and I was clueless what I was supposed to do. 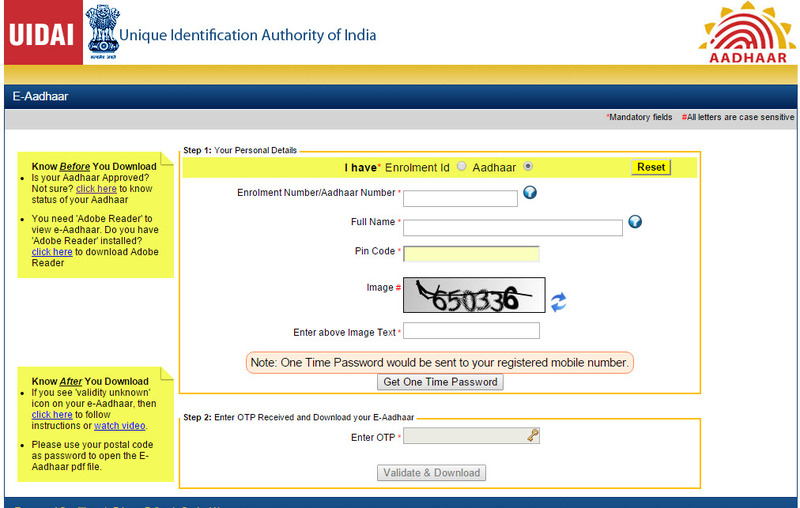 By default, it should show below interface/option to download e aadhar card. But for me, it didn’t show like that. Instead, it was showing some “Session Expired, Please login again” error message. 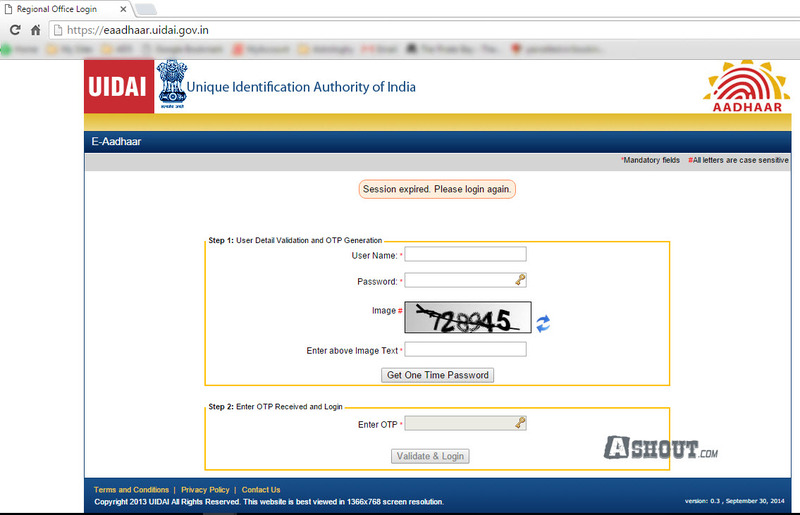 At first I though maybe uidai (unique identification authority of India) might have changed the downloading method like that I thought. Within few minutes, my brother came and fixed the issue. Because he was aware of how to download aadhar card before itself. All he did is He just opened the Aadhar card download page in Private Window on Chrome browser and it immediately started showing “Enrolment ID” and “Aadhar” options which failed to show up earlier for me. If you also faced such issue, then give it a try by opening in another browser or in a private window of your browser. You can download Aadhar card online by two ways. In this article, i’m going to use 2nd option. Just follow the below steps. In Full Name field enter your full name exactly as it appears on your aadhar card. Please don’t leave any extra space, use punctuation similarly as it appears on your aadhar card. Now type the characters which were shown in the above image and click on “Get One Time Password” button. Now you should be able to download your e-aadhar card in Pdf file. To open that file you need enter the password. The password is same as your PIN code which is present on your Aadhar card. Let me know if you faced any other issues on comments. Keep trying… I think I also felt such problem. I guess after few attempts I got aadhar card. Make sure that you read full articles. I also faced few problem which I mentioned in this post with solution. This article is very helpful for users. I really like the information provided. I also try to find the referal link of Adhar card enrollment registration as well as provide that link. I want to enroll my details as well as my daughter in adhar enrollment to get adhar card. still i did not got my aadher card & number so how to find the card number? i don”t have the recipt also. i got the lady image who sold my land fraudulently fixing her image as my mother but all the other information is correctly mentioned and two witness also fraud. i collected that fraudulent lady immage from sub register office and filled f.i.r, now how can i get the real name and address from this immage. kindly suggest which will help me lot. I’m not sure about that process. Please get in touch it Gov’t officials. How can I download adharcard without mobile number?